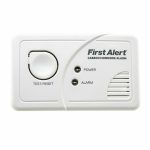 Home » Winterize Your Fire Safety System! It is important to winterize your fire safety system for the winter weather. Any pipes containing water or condensation could be susceptible to freezing and bursting in cold weather. This can lead to an extensive loss of property and equipment due to water damage. It can also lead to drastically reduced fire protection should an emergency arise. To make sure your fire protection system can handle the worst winter has to offer, just follow these handy tips. Get your system inspected by a qualified fire protection professional to make sure it’s ready for cold weather. A thorough inspection will also uncover any deficiencies in your system and compliance with all appropriate fire codes. Dry pipe sprinkler systems also need to be inspected for any water that may have pooled in low areas from previous use. Without checking and draining these pipes, even a dry system can be susceptible to freezing. If your fire system employs wet pipe sprinklers, you may need an antifreeze component to insure against freezing. The type and amount of antifreeze in your system depends on factors like pipe material and whether the system connects to potable water. If your system connects to public drinking water, only Glycerine or Glycol can be used as the antifreeze. The determining factor is whether your pipes are made out of CPVC. Glycol has a chemical component that degrades CPVC piping. You will also need to make sure your fire protection system is ready for the coldest expected temperatures of the region. This is accomplished by mixing your antifreeze with water in varying strengths. Many locales require that a certified engineer administer and monitor antifreeze in a fire prevention system. Check the antifreeze solution periodically throughout the winter months to make sure the strength of the antifreeze has not weakened. It is important to keep pipes from freezing. But this is not always as simple as it sounds. Pay attention to often overlooked areas like closets, attics, and garages. These are potential trouble spots where thin insulation, broken windows, and exposed roof areas may go unnoticed. As a general rule, any area with sprinkler piping should always be kept above 40 degrees Fahrenheit. Any pipes that will be exposed to temperatures under 40 degrees Fahrenheit need to be enclosed or insulated. Heat tape is a popular preventative for pipe insulation. Use sprinklers with a high temperature rating if they are located near a heat source. This will lower the risk of accidental activation. 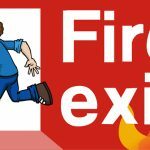 Following these easy guidelines will give you the peace of mind that your fire protection system can survive the winter. Call Fire Control Systems for winterization of your fire safety systems.